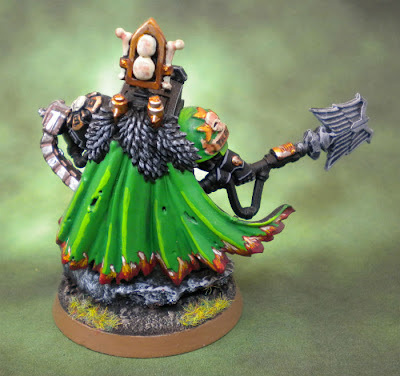 I wanted to take a couple of shots of models I've painted. 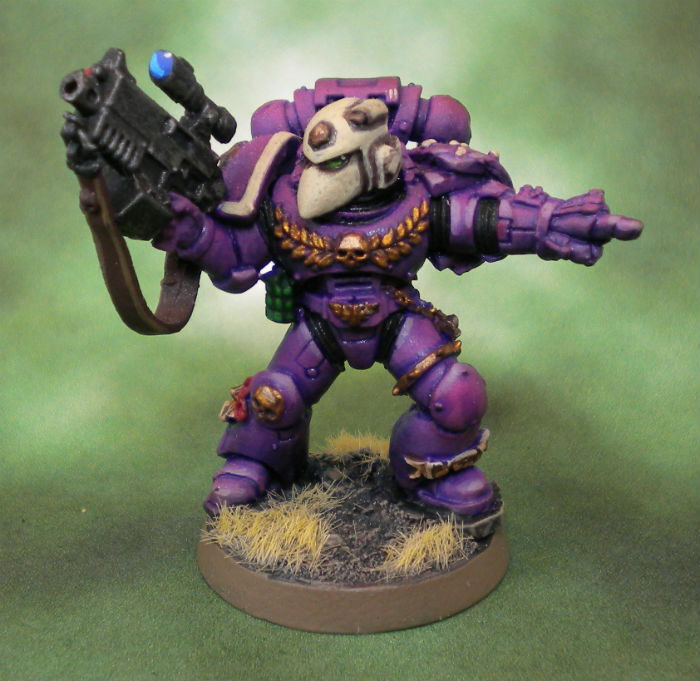 I put together a ghetto photo light box and am pretty happy with the results. I am by no means a photographer, but I think I've progressed from my grainy cell phone pics! 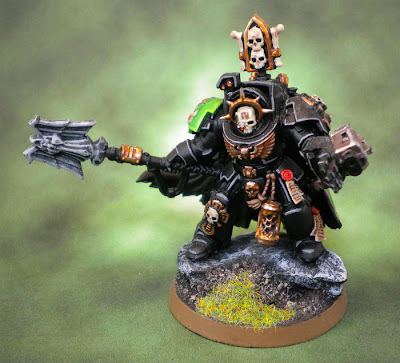 My custom Salamanders Terminator Chaplain... total kit bash. All random bitz box plastic pieces! I was really happy with how the cape turned out. The highlights are a little extreme, but it works on a battlefield. 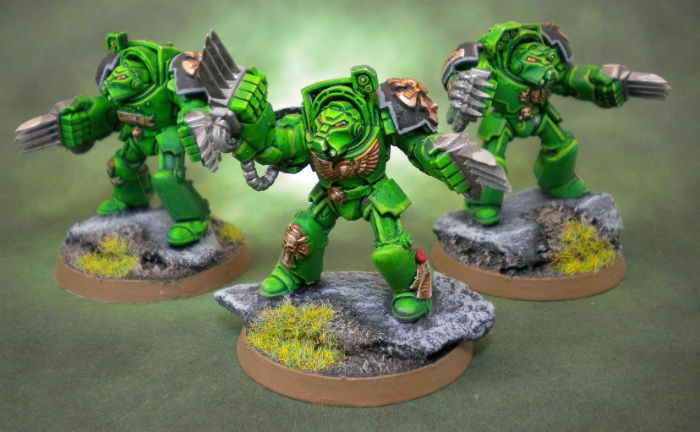 The first three LC/LC Termies. They are intended to pop out of a LRR and assault. 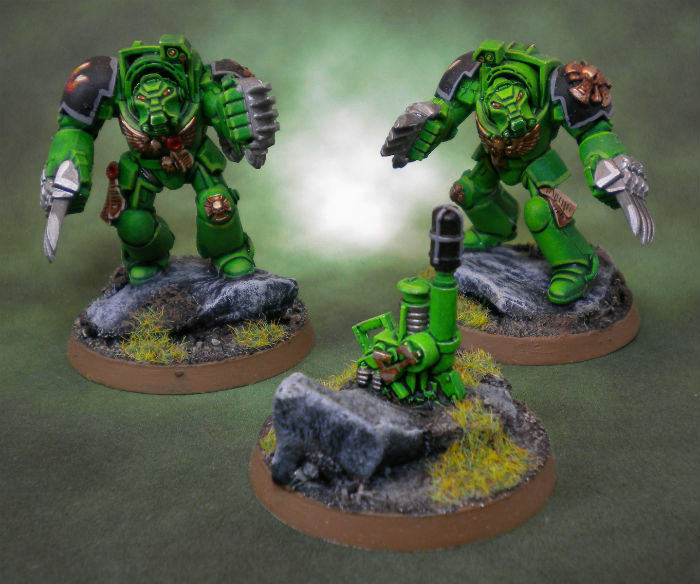 The other two LC/LC Termies plus a Teleport Homer/Objective Marker. 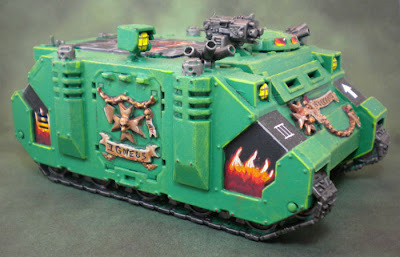 The Salamanders Rhino... 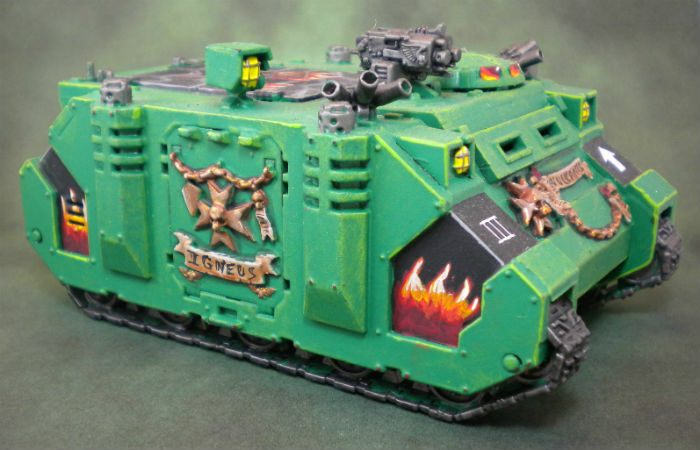 I'm happy with the flames and the "Igneus" scrollwork, but I don't like the green as much as on the Terminators. 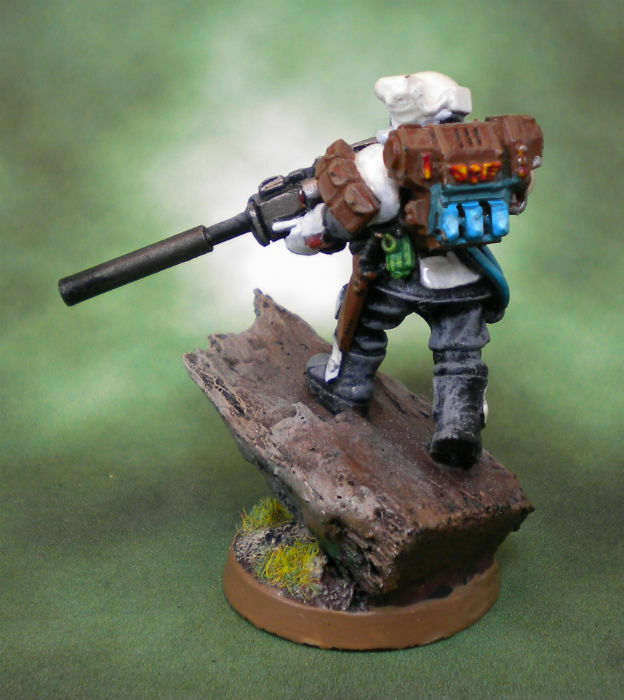 My custom Vindicare counts-as. 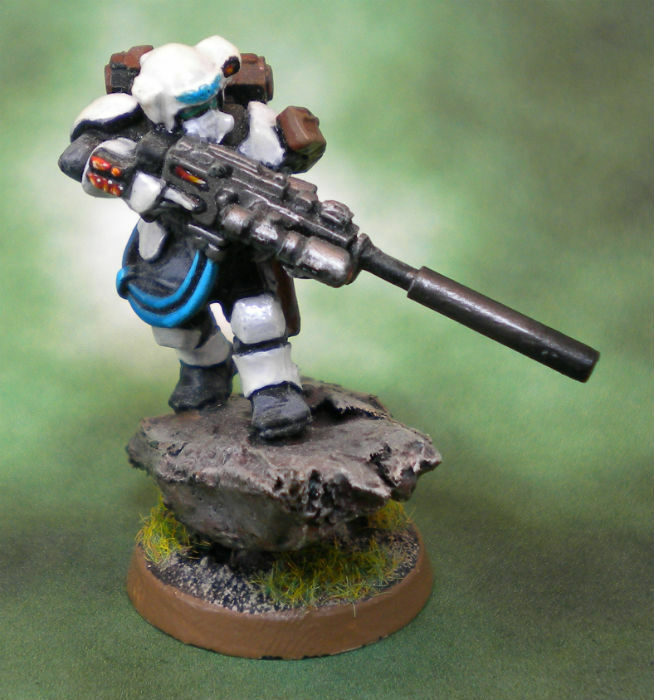 I used a Kasrkin model and made the barrel out of copper tubes. Oh man! I hope his power pack doesn't overheat... pretty happy with the little pick of OSL work here. I read the Soul Drinkers books and just had to paint myself up a Soul Drinker. I'm particularly happy with the helmet.